Teddy, now three, is a happy little boy ready to take on the world! 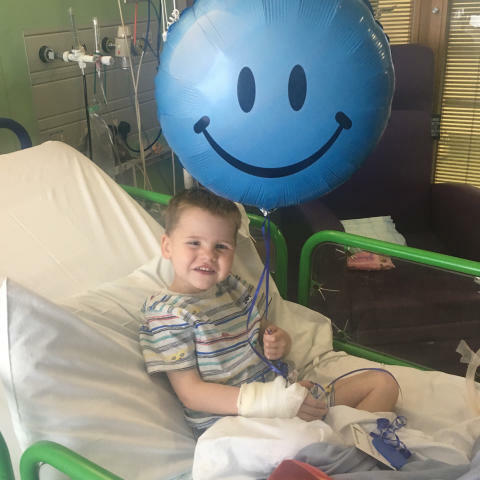 The parents of a little boy who was born with half a heart are calling on their local community to support The Sick Children’s Trust’s Pyjama Party fundraiser this October. 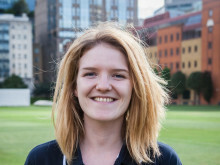 “Rainbow House was a godsend. It meant we didn’t have to decide between being with Teddy or the girls. We could eat a meal as a family in the communal kitchen and both the girls could have a bath before settling down to bed. Alex and I then took it in turns going over to see Teddy on the ward. “For Teddy, having all of us staying just around the corner meant that we were close enough to be at his bedside day or night if he needed us. The ward could contact us directly via the telephone in our room if his condition changed when we weren’t there. 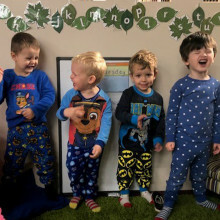 “Pyjama Party is a great way for you and your little ones to raise money for families with seriously ill children in hospital. The campaign takes place this month but you can hold a party at any point in the year. It’s really easy to get involved, children (or adults!) just need to pick their favourite pyjamas and get sponsored to wear them for the whole day! To find out more about The Sick Children’s Trust’s Pyjama Party, or to request a free fundraising pack call 020 7638 4066 or email pyjamaparty@sickchildrenstrust.org. 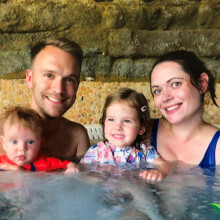 The Richards family have spoken out in support of The Sick Children's Trust, which supported them for six weeks at Stevenson House when baby Joshua needed lifesaving surgery at Royal London Children's Hospital shortly after he was born. Nineteen years ago, we supported Jackie's family when her son was rushed to Newcastle's Royal Victoria Infirmary after their house set on fire. 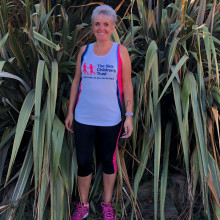 Now Jackie is taking on the Great North Run to raise money for us.